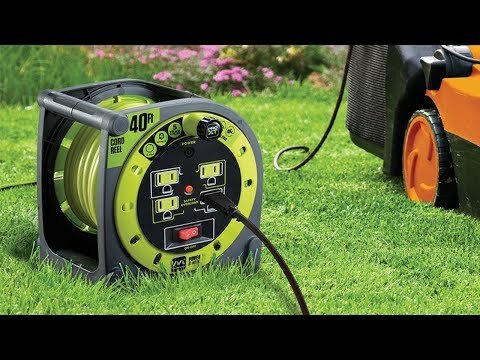 With this extension cord reel, you can store and use an extension cord neatly and easily. 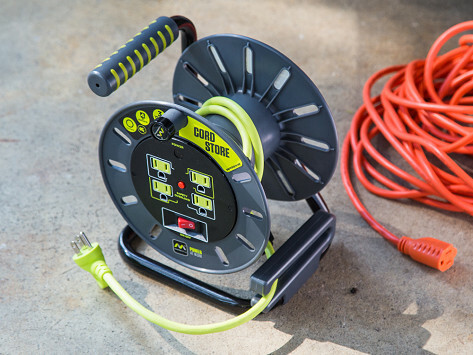 It can hold a cord that’s up to 50-foot long and offers surge protection on all four of its switched outlets for anything you need to power up. Dimensions: 10" x 11" x 8"
We purchased this to give added distance when weedeating. It does what you said it would. Thank you for making our lives easier.